We aren't trolls. We are elves. We spread crimmas cheer. Happy Festivus. If I was a troll I would be a nice one that lived under a bridge and popped out to give everyone pizza. Everyone would be super happy. know what makes us happy? First you put on these kneepads....then you spit out your gum. Some of those trolls are dudes, gayboy. Zip zip, zlurp, zlurp, gayboy ^ dont mind. That's what YOU dream about. He was talking to Emily, dum bass. Wow, and that whole thread is the same person talking. You are a lonely tool arent ya? What grade is everyone in? I'm in 9th this year. It's awesome. We learn stuff. I'm in 9th too, again. It should be much easier this time around. All the old trolls are back! And just in time for the holidays. Merry Christmas, trolls. Two non believers walk into a bar. They both say Ouch, that hurt. We shoulda ducked. We are out of school all the way until after New Years. It's too awesome. No homework or nuthin. Christmas time is Mormontastic. Yeah. You are just picking on me because I'm a Mormon. Well, us Mormons are Mormontastic. Uh, I don't see anyone picking on you. Did you forget your meds today? It was my cousin. She is always messing up my hair and stuff. Everytime my mom takes us shopping she does that. She thinks it's all funny and stuff. I think you mean Moron. There's only one m.
Hella gay. It makes me feel all nauschus. I'm asking everyone to boycot these movies. They are exploiting the gay blue people. It is a scientific fact that blue people have green diarrhea. It's just science; no other explanation. I agree. Blue people are odd. And gay. My brother said that guy has blue balls. I don't know what that means. Blue people look gay. Like embiciles. Lesbean embiciles. As a important school teacher I can say this. It has been a while since the first Avatar came out. Are they working on the second one yet? No they aren't. Not yet. Hopefully soon though. 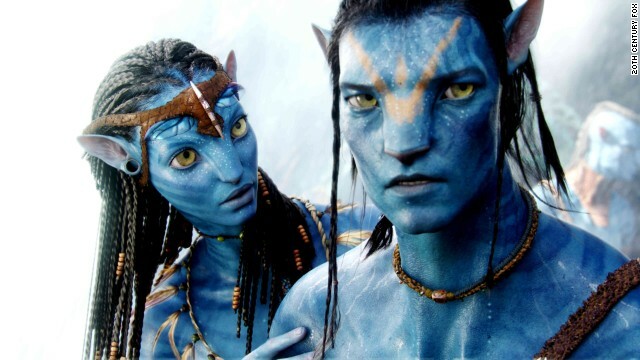 Rumor has it they Avatar 3 will be combined with The Hunger Games series. So now you want to step in and change things when it finally got interesting. When the hacker was all over this blog with the crazy rambling and people contacted what's his face, you did nothing about it. Now that there is some kind of communication, whether it's good or bad you have something to say about it. Really? All the months that people came on and begged you to take care of the rambling hacker, you sat by and did nothing. Troll buster..whoever he may be ,helped a lot. I hope he is someone that's working for you, because that would be a damn shame if he isn't. Oh, I don't go on there, so I didn't know. I much rather stay here with the rest of the misfits:). FACT: That's what cnn used to put on the while you were working blogs. Back when trolling was out of hand. More out of hand than it is now. Vixen, you were here then, don't you remember? It was only a year ago. on topic posts to the other threads. Nope. No they didn't. That is a real moderator telling you to be nice. Uncle Crimmas and Moondancer also say that too. So does Eduardo Fuentes and T-Rex. It's crimmas time so we gotta be nice folks. @* and @No actually, yeah you guys are right. They did put something similar up, but then soon after, the hacker and the dating site starting posting their craziness. I still think the hacker/dating site was/is non other than a certain blocker (no names to mention, because he pops out just by mentioning it) that's a little unstable in his head. If is a real CNN posting, well it took them long enough, and they should've done something when that hacker and dating site showed up. Well, thank you, Miss Vixen. I appreciate that. I do not work for CNN. They can flip me a check, though, any time they want. Remember, there are lots of troll busters now. The only difference is, I only go after dating sites and the nonsense troll. I have noticed a lot of comments disappearing. I assure you that is not me. So remember, you have no excuse, hit abuse. Happy holidays! That rhymes! Rhymes are too wonderful. They make things more cheerful. I hope ? and friends would keep some of the funny comments on. I sure hate to have this place become a snooze fest. Happy Holidays to you as well Mr. Troll Buster. That wasn't peace. Do you see her little peace sign? Somebody trolling her. She came out to defend her little buddy. Remember when blogging was fun? We gave you your own lounge to chat in. You've been very ungrateful. How did you enjoy all of your threads today? It's time for a few of you (you know who you are and so do we) to stop your bologna. We have recieved numerous complaints and are acting on it. It's time to stop and get back to blogging. Happy holidays and may the Marquee blogs turn a new leaf for a happier new year of blogging. No more dating spam, poop jokes or political junk. Just block the Rant 'n Rave Hacker troll, and all the dating site spam will go with her. The other trolls we can tolerate. This was posted by some ppl that constantly crying about the trolls on here. Mad rapper was attacked yesterday and some ppl didn't like it. Funny how this came about all of a sudden. Mad Rapper (sic) was on here the other day and was attacked? Where? Which thread?